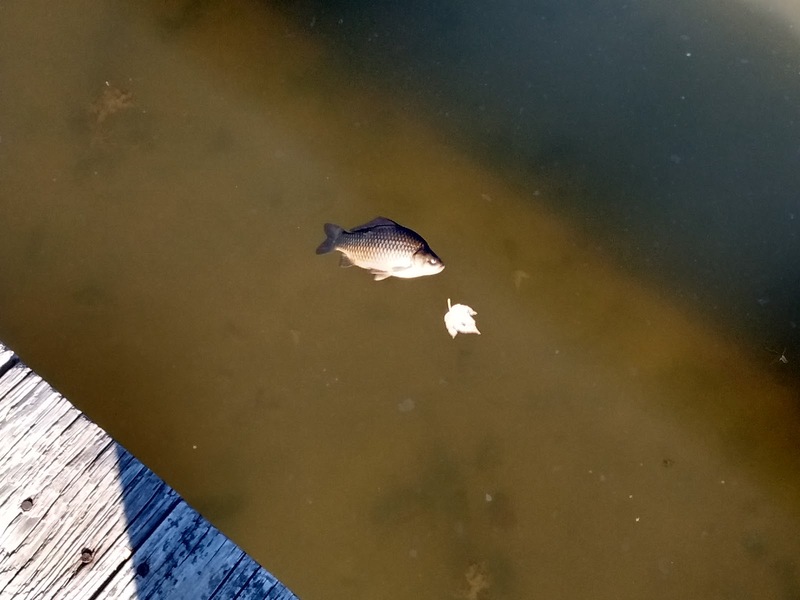 The Floating Empire: Dead Fish, and eventually, possibly us. . . 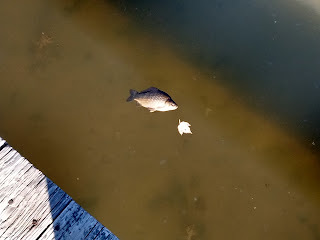 This is a dead fish, one of hundreds of thousands in the Middle River this week. At low tide, the bottom is virtually paved with them. According to DNR, they died from a toxic algae bloom in the river. The toxic algae bloom was likely caused partly by runoff into the river containing an excess of nitrogen and phosphates. Our new "business friendly" state government has, of course, taken steps to remove the Impervious Surfaces Abatement tax, designed to make those who pollute like this pay for the damage (and rebranded the "rain tax" by wealthy business interests and their shills) and to shift the costs of abatement to the general taxpayer. Meanwhile the Bay continues its slow decline. You gotta love our "business friendly" politicians. . . .
Actually, no I don't. I don't have to love them at all.